Why did the temporary ceasefire between Israel and Hamas suddenly break down on Tuesday, even before its expiration? 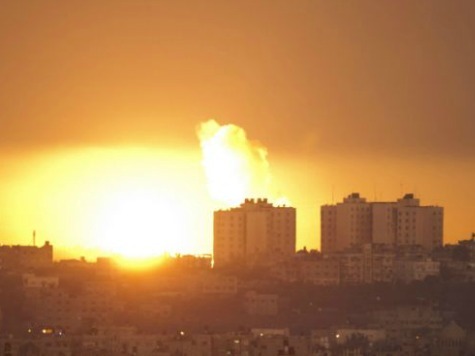 Why would Hamas, in the middle of negotiations and without pretense of provocation, fire rocket barrages against Israel? The Fatah source, quoted in the Arabic Al-Hayat, said that Hamas had been pressing for Qatar to play an active role in the Cairo truce talks, in which Egypt has played the major role so far. Hamas asked that a senior Qatar source be invited to participate in the discussions. Qatar is a strong backer and benefactor of Hamas and has provided $23 million in emergency aid to Hamas-ruled Gaza. Egypt, not on the best of terms with Qatar, reportedly refused the proposal, insisting, instead, that Qatar apologize for its Egypt policy since former Egyptian President Mohamed Morsi, who came from the Muslim Brotherhood, was deposed in 2012. The pro-Morsi Qataris are the leading sponsors of the Muslim Brotherhood, of which Hamas is the Palestinian branch. The Fatah source added that Qatar threatened to expel Hamas leader Khaled Mashaal, who has been living in Qatar, saying it would “force him to leave” if Hamas agreed to the Egyptian-proposed truce in its current structure. The revelation of the Fatah allegation lends credibility to reports Tuesday that the breach of the ceasefire was, in fact, orchestrated by Mashaal himself. According to a security source cited by Israeli news site Walla!, Tuesday’s ceasefire-shattering rocket attacks on the Israeli city of Beersheba were ordered directly by Mashaal, who reportedly bypassed Hamas’s “military wing,” the Al-Qassam Brigades, and ordered a specially-assigned unit of Hamas operatives answerable directly to him to launch the attack from Gaza. The source alleged that Mashaal was attempting to sabotage the Cairo negotiations for a long-term truce, which were not going his way. Though possessing little leverage, Hamas has demanded an airport, a seaport, loosened border restrictions, and the release of terror prisoners. Hamas has reportedly not gotten far with those demands, even with the Egyptians.